Bright red star lamp with black print design swirling throughout. 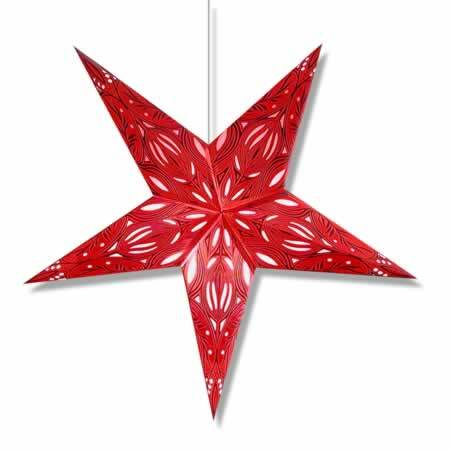 Has red tissue paper in the center of star lamp and holes for light to come out at the tips... Measures 24" across when assembled. Includes complete assembly instructions. 12' electric cord with on/off switch optional for a little more. 40 watt lightbulb not included. Handmade in India.